I stumbled upon this photo. Fredrick Lawrence Hunt, born 18 September 1887 in Plain City, Weber, Utah, married Victorine Sharp, born 23 November 1889 in Plain City. Victorine Sharp is the brother to my Ethel Sharp and daughter of Milo Riley and Mary Ann Stoker Sharp. 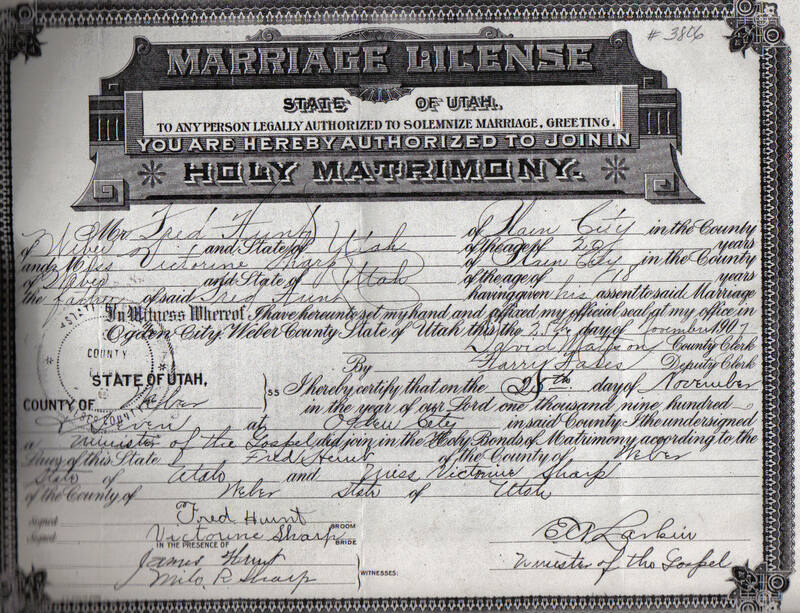 Fred and Vic were married 25 November 1907 in Ogden, Weber, Utah. 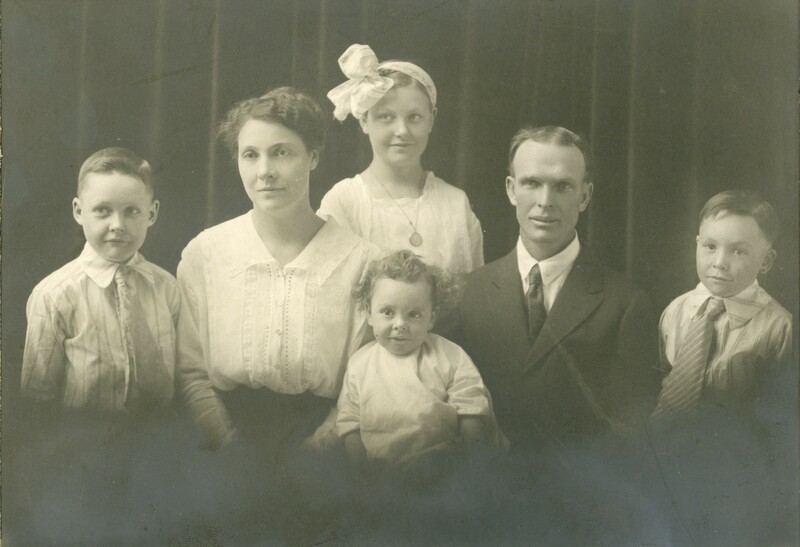 Fred and Vic had 5 children, Clara Leona born 14 October 1908, Fredrick Bert born 20 August 1910, Harold born 24 March 1914, Mary born 12 October 1916, and Howard born 6 September 1921. Howard died in World War II 12 May 1944 in Italy. Bert was electrocuted with his son Bob on 4 September 1960. 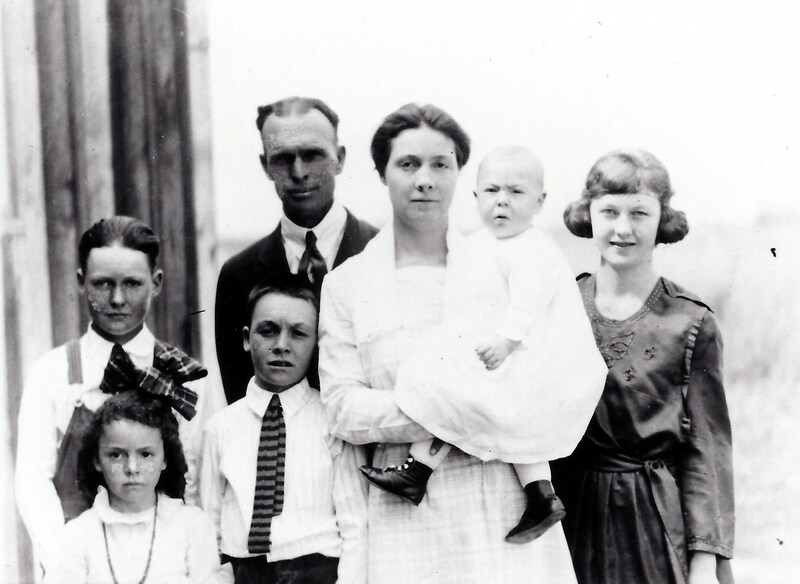 Here is another photo I have of the family. 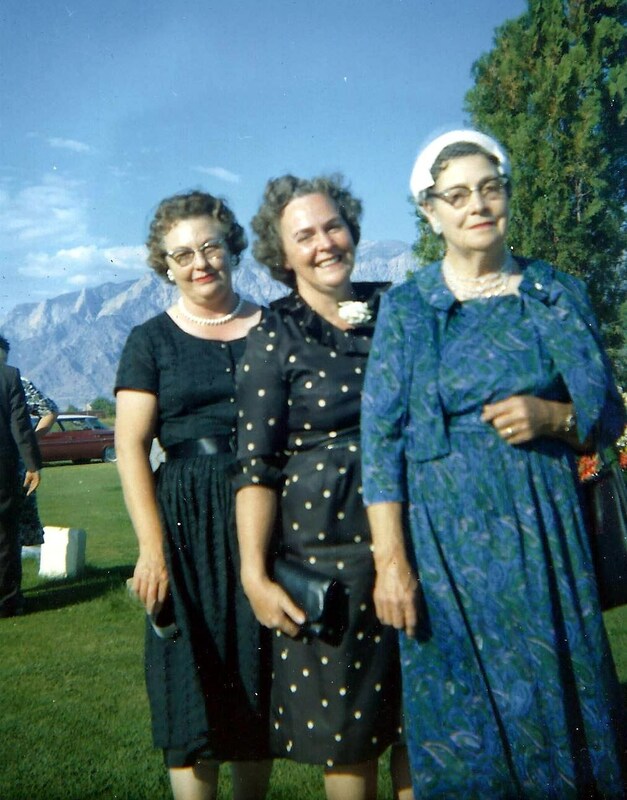 Here is Vic with two of her daughters, Clara and Mary in 1963. Fred passed away 23 Decemmber 1967 in Ogden. Clara married Glen Monroe Wilbur and passed away 9 October 1980. Victorine passed away 27 August 1987 in Ogden. Harold married Ina Etherington and died 28 May 2002 in Plain City. Mary married Carl Richard Cowan and passed 7 March 2016 in Layton, Davis, Utah.